Receding gums is a very common dental problem. Generally, most of the people are unaware of gum recession as it occurs very slowly. It is a long process and starts in early teens. It can be triggered by many factors like poor dental hygiene. According to a US study performed on 10,000 adults for gingival bleeding and gingival recession. 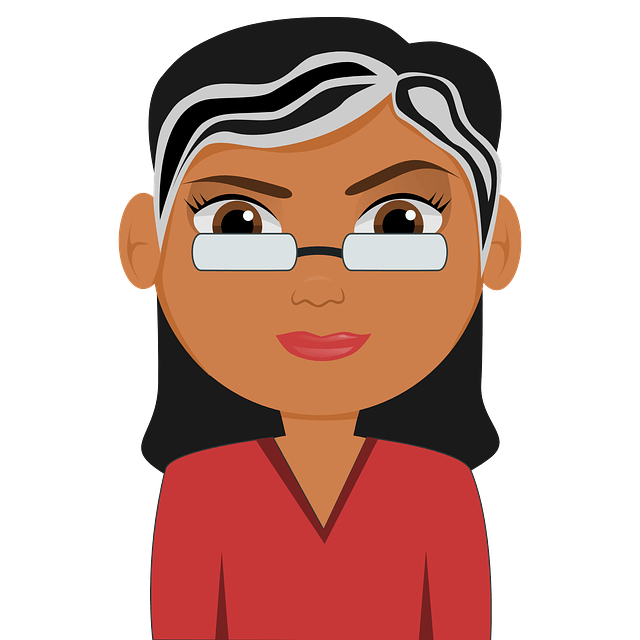 It is found that 38% of people aged 30-39 had a minimal condition when compared to 71% in 50-59 age group and 90% of the people aged between 80- 90. Well, this doesn’t refer age to be the only reason for the problem. Reasons of the receding gums are poor dental hygiene, heredity, abrasive brushing, and periodontal disease, trauma of gum tissue and hormone imbalance. Not only painful but receding gums are quite alarming as well. They form gaps and pockets between the teeth allowing the bacteria to enter. If left untreated, they can lead to gum diseases and loosen the roots of teeth and damage the tooth structures. If your gums are bleeding or having unbearable pain, then it is best to consult the dentist right away. 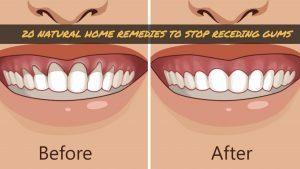 If you receding gums are still mild or want to suppress the pain till you reach the dentist, then you can lend the help of home remedies. Of course, there are many home remedies which help to solve this teeth problem which is much safer and effective. There are remedies by using simple vegetables, spices and herbs that are easily available in kitchen or pantry. Try them to reduce the receding of gums. The antioxidants present in green tea combats with free radicals which help to keep diseases at bay. Free radicals present in your mouth causes periodontal diseases leading to receding gums. The catechins (antioxidants) in green tea strengthens gums and teeth bond. The swelling of gums that hold the healing of gums and oral diseases will be reduced by anti-inflammatory properties of green tea. According to a study (1), it is found that during a four-week regimen of mouth washing with a catechin solution (diluted) improved bad breath related to periodontal disease. The catechins especially EGCG present in tea deodorize methyl mercaptan. Repeat daily to keep the teeth and gums strong. Oil pulling is considered one of the best remedy in Ayurvedic medicine. It helps in preventing and reversing receding gums. It removes the microbes, plague buildup and harmful toxins that cause gum disease and tooth decay. It also helps to remove harmful heavy metals from lymphatic system and mouth. Sesame Oil and Coconut Oil are the only 2 oils recommended for oil pulling. Organic Sesame Oil: It provides a protective layer to teeth and gums. It prevents gum recession and dental decay by providing a protective coating to the gums. It removes plague buildup and toxic substances. Organic Virgin Coconut Oil: The antibacterial properties present in coconut oil provide protection against the germs, food particles stuck in between teeth and bacteria. It prevents overgrowth of new germs and bacteria. Note: Never use commercially processed oils. The rancid and toxic oils are harmful to health and don’t work in preventing gum recession. Oil pulling is one of the easy processes and doesn’t take need much time for preparation and execution. Performing oil pulling on empty stomach in the morning after waking up provides more beneficial results. Take a tablespoon of any of these oils into your mouth. Swirl and swish using this oil all around your mouth for 20 minutes. Never swallow the oil after swishing. Brush your teeth with a natural tooth paste. Initially, you may do oil pulling for half to one minute and keep on increasing the time as you get used to it. Try to reach the point where you can do oil pulling for 15 to 20 minutes. After oil pulling, the swished oil looks white and cloudy but don’t worry as it is normal. Aloe vera contains anti-inflammatory properties which have cell repairing capabilities. Aloe vera not only reduces the swelling of gums but also helps in activating the cells most vital for tissue repair. As per a study published in the Journal of Indian Society of Periodontology (2), it is found that aloe vera has is a soothing healer for periodontal disease. The study was conducted on 15 subjects and aloe vera has reduced the severity of gum diseases has reduced. After Brushing and flossing take some freshly extracted aloe vera gel on a toothbrush. Brush your teeth with it. Rinse off with water properly after 3 – 5 minutes of brushing. Repeat 2 times a day (morning and night). Mix some freshly extracted aloe vera gel in some water. Mix well and swish with it. Repeat every time after brushing. The antiseptic and antibacterial properties of lemon keep the mouth germ free. It encourages new tissue growth in the place of damaged ones. It kills the bacteria and prevents receding of gums and tooth decay. Add 10 drops of lemon oil into a cup of warm water. Gargle with it for a minute and rinse off with water. Alternatively, you can mix 2 – 3 drops of lemon oil in a teaspoon of coconut oil and gently rub on gums. Combine 1 ounce of virgin olive oil and juice of 1/4 lemon. The mixture makes 2 batches of swishing. Swish with this mixture like a regular mouth wash.
Repeat swishing 2 times a day, once in the morning and another in an afternoon (after lunch). Process 3: Instead of using strong lemon essential oil, you can make lemon oil at home so that you can save your teeth from the damaging effects of it on tooth enamel. In a jar, add 1/4 – 1/2 cup of olive oil and juice of 1/2 – 1 lemon. Cover the jar, shake it and place it in a cool, dry and shady area. Let the mixture infuse for few weeks before you start using for regular oral health. Before using the mixture, shake it well and take a small amount of oil on brush or fingers. Massage it gently on your gums for few minutes. Repeat the process 1 – 2 times a week. Note: Don’t repeat more than 2 times a week. As lemon is acidic in nature, it can erode your tooth enamel. The strong essential eucalyptus oil kills the germs in the mouth and prevents the gum diseases and tooth decay which lead to gum receding. Eucalyptus contains anti-inflammatory properties which help to reduce the swollen gums. It will stimulate the tissue growth and reduce the receding of gums and bacterial activity. Combine 1 – 2 drops of eucalyptus oil and 1 – 2 tablespoons of water. Massage it on the gums for few minutes. Note: Never apply undiluted oil as it is very strong for the gum tissue. The antibacterial properties of cloves keep the mouth germ and oral disease free. The anti-inflammatory properties reduce the swelling gums caused due to periodontal disease. Clove oil contains very powerful antimicrobial, antiseptic, anti-fungal properties which help to cleanse the oral activity, helps relieve dry socket and improves the repair and growth of gum tissues. If used frequently, it disinfects the mouth and reduces bacterial action. Cloves are also a great home remedy for teething pain. Chew a clove daily and rinse off with water. Alternatively, rub some clove oil on the gums for few minutes. Repeat this 1 – 3 times a day. Tip: Whenever a person chews a clove, it provides numbing effects inside the mouth. Chew a clove after meals. Make sure the oil reaches all the corners of the mouth. It helps to remove bad breath. Note: If you are on medication for blood clotting then consult your doctor before using cloves and clove oil. Myrrh helps in stopping the receding of gums, prevent bacterial activity and strengthen the gums as well. It has been traditionally used for treating periodontal diseases and other oral diseases. Combine enough amounts of myrrh powder and water. Swish your mouth with it for a minute. Alternatively, you can use the myrrh powder as a toothpowder or paste. Tea tree oil contains antifungal and microbial agents which destroy the bacteria and plague buildup. It prevents recession of gums, gum diseases and root damage. Dilute few drops of tea tree oil in enough water. Swish with it thoroughly for a minute. Note: Don’t use it without diluting with water. Don’t ingest tea tree oil as it can be seriously dangerous. Sumac tree contains astringent properties which prevent recession of gums and cleans the teeth.It cleans the teeth, stimulates the gums and keeps them safe from damage and decay. Take twig of sumac tree and peel out the bark. Rub the inside of the bark on the teeth and gums. It is commonly called as nosebleed or soldier’s woundwort as its juice, leaves and stem can stop bleeding. It is known that many North Americans tribes used to chew yarrow leaves as a remedy to treat a toothache and other oral problems. It contains anti-inflammatory, analgesic and anticoagulant properties which help in treating receding gums at any stage. Take a leaf or stem of yarrow. Pound or grind them into a paste. Massage it on the teeth and gums. Yarrow tea contains antiseptic properties which treat various oral problems including gum diseases and throat infection. Boil some water and add a handful of yarrow leaves and flowers or 1 -2 tablespoons of yarrow herb. Remove from the flame and let it steep for 15 – 20 minutes. Strain the infusion and let the tea cool down. If you don’t want to mess up with the herb then you can follow this process. Mix few drops of yarrow essential oil with coconut oil or any other carrier oil. Massage it on the gums for few minutes and rinse off with water. Its antiseptic and antibacterial properties help to prevent receding of gums to a maximum extent. The properties of sage leaves can act as a tonic to deal with receding gums. Rub a sage leaf on teeth and gums. Boil some sage leaves in a cup of water. For extra benefits, you can massage the leftover tea over the gums. Note: Don’t use sage if you are pregnant, lactating or using anticoagulants. Rose vinegar helps to strengthen the teeth and gums. Take 3 ounces of rose petals. Soak them in enough red wine vinegar solution. Let it steep for 7 days. Strain and store in a container. Add 1 tablespoon of the solution to a cup of lukewarm water. Swish with it thoroughly and rinse off with water. It is an excellent way to preventing receding of gums. Propolis is a resinous substance extracted by bees from conifer buds. It can also treat gingivitis and dental plague. Rub propolis on the teeth and gums. Note: If you are allergic to bee stings then it is better to avoid bee propolis. It contains anti-fungal and antiseptic properties which stop the growth of yeast and bacteria which is very commonly found in mouth. It also contains anti-inflammatory and astringent properties. Boil 2 -3 stems in water. Let it cool down until lukewarm. Gargle with the mixture regularly. This helps in reducing the inflammation, restores the healthy texture of gums. Alternatively, you can mix 10 drops of lemon essential in a cup of water and use it to gargle. This combination dilates the blood vessels which improves the blood circulation. This helps to supply nutrients to the gums. This will rejuvenate and grow back the receding gum tissue. Chew ginger and cayenne pepper. Spit out and rinse off with water. Note: Both these ingredients are safe but cayenne pepper may feel hot if you are not a fan of spicy foods. Ginger improves blood circulation to the gums. In a bowl add 2 tablespoons of baking soda, 20 drops of clove essential oil, 25 drops of peppermint oil, 30 drops of essential trace minerals, 4 tablespoons of coconut oil and 1 tablespoon of xylitol powder. Mix the ingredients with a hand mixer or a food processor. Store in an empty toothpaste tube or container. Scoop out enough amounts of the mixture and brush with it. Commercial mouthwash contains harsh and harmful chemicals so this process helps you prepare a mouthwash with natural ingredients. Use any essential oil for preparation like sage, peppermint, clove or tea tree oil. Take a couple of drops of any essential oil mentioned above. Add it to 1/4 – 1/2 cup of clean water. Gargle with it and rinse off with water. It is amazing natural remedy with a variety of uses. It is completely safe as it contains only water and oxygen. It contains a germicidal agent which oxidizes organisms and kills them. Actually, our body develops hydrogen peroxide to fight against bacteria, virus, parasites, toxins and yeast. Mix 3% of hydrogen peroxide with water to makes an amazing solution for mouthwash. Alternatively, you can mix it with baking soda and use it as toothpaste. Brushing with it helps to fight against germs and infections. It also helps in teeth whitening if used regularly. It improves the immune system and acts as an effective antioxidant. For dental remedies, use calcium ascorbate which is a form of vitamin C. It doesn’t sting when applied on sore gums. It is also available in powder form. Spread it over the gums and rinse off with water after few minutes. Alternatively, you can also take vitamin C supplements for curing gum receding. Apart from natural remedies, homeopathic remedies can also be helpful in reducing the symptoms related to gum receding. As per daveshealingnotes.com, homeopathy is considered safe, non-toxic and relatively low in cost which is used by hundreds of millions of people across the world. It treats the symptoms of any disease with a minute dilution of a natural substance. Due to the efficiency and safety even at high potencies, many people are now trusting homeopathic solutions just like natural home remedies. Here are few homeopathic solutions for receding gums. Silica Terra – This medicine helps to strengthen the teeth and rebuild the bone structure. It plays a vital role in gingival recession. Kaliumphosphoricum – It is a potassium salt. It helps in transferring nutrients into the cells. It is one of the best homeopathic solutions in treating receding, bleeding, spongy and sore gums. Mercuriussolubilis – It provides relief from any ailments including spongy gums, pain and even has the capability of reversing gum recession. Carbo Vegetabilis – Apart from treating inflamed and bleeding gums, it also reduces the sensitivity and pain while chewing. Sugars are known to worsen the gum receding. This happens as the sugar foods can increase the gummy deposits on teeth. Avoid junk food and munch on raw fruits and vegetables for snacking. This makes a healthy exercise for teeth. Cranberries, green tea and cashews have an anti-adhesive property which prevents gum receding. Vitamin C rich foods like broccoli, green leafy vegetables, cantaloupe and kiwi are known to reverse gum receding. Vitamin C combined with bioflavonoids can heal the roots exposure which stimulates energy to fight against the cell damage. Zinc helps to improve immunity and gingko bilobo can help in proper blood circulation. These two also helps in curing and preventing gum recession. Prevention is better than cure. Here are few ways you can try to prevent receding gums. Routine Dental Check Ups: Regular dental checkups and cleaning will prevent dental diseases, gum recession and tartar buildup. It is advised to visit a dentist at least once or twice a year and brush twice a day to remove all the bacteria. Dentists use special instrument to remove the bacteria buildup on teeth and gums. Proper Dental Hygiene: Maintaining a proper dental health is the key to prevent dental problems. Brush twice daily using gently strokes (not aggressive) in a circular motion. Brush along the gum lines to remove the bacteria and avoid pushing the gums upward. Always use a brush having soft bristles. Motorized brush with smaller head and brushes can also be used. It is recommended to floss daily as it removes plague between teeth and gums. Flossing and brushing after every meal to prevent gum diseases is always recommended by dentists. Drink plenty of water: consuming plenty of water throughout the day helps to flush out the toxins from the body. This prevents the bacterial infection thus gum recession as well. Apart from that whenever you drink water, the left-over food particles get cleaned away. If you can’t rinse, always swish some water. If you cannot spit out the swishes water, you can swallow it as well. Orthodontic Treatment: A proactive orthodontic treatment corrects the misaligned teeth before receding gums develop. The treatment has to be followed in a very controlled manner as rapid movement can lead to gum recession. Aligned teeth can be cleaned easily which prevents gum recession and cavities. Orthodontic treatment takes at least 12 – 24 months. Bite splints and Night Guards: clenching and grinding makes the enamel to erode which in turn leads to receding gums. For gum recession, bite splints are the effective solution. It reduces the strain on teeth. Bite splints can be worn during night or days depending on the stress levels. Using a Soft Toothbrush: Gently brush your teeth 2 times a day with a brush having soft bristles. Aggressive brushing can cause gum recession and make it even worse. Avoid Smoking Tobacco: Using tobacco can keep the gum tissue unhealthy. Avoiding tobacco improves gum irritation, blood circulation and tightens the root. Oral Health: Poor diet makes you body acidic and helps in developing diseases which include dental diseases. Better diet improves overall health including dental health. Improve pH in your mouth by brushing with baking soda. It is has been trusted through generation to keep the teeth stay healthy. Oral Hygiene Products: It is a sad truth that products sold for oral health are counterproductive. Toothpaste containing sodium laureth sulfate (SLS) and fluoride cause harm than good. Mouthwashes that contain chemicals, artificial sweeteners and food dyes should be avoided. Brush your teeth with natural toothpaste, baking soda or make your own toothpaste or powder. As a mouthwash hydrogen peroxide can be used. Don’t prick the gums with toothpicks. Lip or tongue piercing can also lead to gum receding. Avoid sugar, processed, caffeine, alcohol, and flour products. Eat foods rich in calcium, potassium and vitamins. Well, there are many factors which start gums to recede. We have mentioned them below. Periodontal Diseases: These refer to gum diseases – one of the main reasons for gum recession. The bacterial gum infection destroys the gum tissue and supporting bone that holds the tooth in place. Genes: According to some studies, 30% of population is predisposed to gum disease regardless how well their oral hygiene is. Some people are more susceptible to gum disease due to their genes. Aggressive Tooth Brushing: Harsh brushing or brushing the wrong way erodes the enamel and stimulated gum receding. Poor Dental Hygiene – Brushing or flossing improperly leads to the build up of plague on a tooth which further turns into calculus. Calculus or tartar is a hard substance between teeth and gums. This stimulated the gum receding. Hormonal Imbalance: Woman experiences hormone fluctuation throughout their life while puberty, pregnancy and menopause. This also makes gums susceptible to gum receding. Apart from causing diseases like cancer and other lung diseases, smoking can also cause gum receding as well. People who consume tobacco in any form are more prone to form a sticky plague on teeth which caused gum receding. Misusing teeth in the form of clenching and grinding teeth will put pressure on teeth, this leads to gum receding. Similarly, when force in applied on teeth while taking bites or eating may also lead to gum receding. This usually when the teeth are crooked and don’t come together evenly while consuming food. Lips and tongue piercing can also stimulate gum recession. Why? Because the jewellery will get rubbed against the gum leads the tissue of the gum to wear away. Apart from the above there are some other possible risk factors that lead to gum recession which include gums bleeding as in scurvy which can be caused due to vitamin C deficiency, acid damage to the tooth enamel during acid reflux, orthodontic treatment which involves repositioning of the teeth. Here is a list of gum receding symptoms. Color change at the gum line – it can be observed when the tooth crown and exposed root vary in color. Inflamed Gums – Red, swollen gums especially along the boundaries. Bleeding from the gums: Blood spotting from gums while brushing, biting into apples or other hard foods. Shaking teeth or teeth with weak support. How can Gum Receding Grow Back? Gums are the soft tissues that cover the bones and roots of the teeth so that they remain in a place. Due to many causes (already mentioned above) gums may recede exposing teeth and their roots. By maintaining proper dental hygiene, nutritional diet and home remedies like oil pulling can effectively help the gums grow back. Can Receding Gum Disease Cause Bone Loss? Bone loss is one of the common results of tooth loss and chronic periodontitis. While in the case of periodontitis, the bacteria slowly eat away the underlying jawbone, periodontal ligaments that connect the bone to the tooth. If the receding gums are treated or reversed on time, the chances of loosing tooth increases. If your gum recession is severe, then it is better to consult a doctor immediately rather than choosing natural remedies. A dentist treats the gum recession by deep cleaning the affected area. Deep cleaning includes tooth scaling and root planning where the tartar buildup on the teeth and root surfaces is slowly removed. The exposed root area is smoothened which makes it difficult for bacteria to attached itself. Few antibiotics can be prescribed to get rid of harmful bacteria. If the gum recession is severe deep cleaning may not be suitable as the excess bone loss and pockets can be very deep. In such cases a gum surgery is necessary to repair the damage. Here are few surgical methods often used to treat gum recession depending on the severity. Pocket Depth Reduction: While performing this procedure, a dentist or periodontist (gum specialist) will fold back the affected gum tissue, carefully removes the harmful bacteria residing in the pockets and securely the gum tissue in place over the tooth root. This helps to eliminate the pockets and reduces the size. Regeneration: If the gum recession has damaged the bone supporting the teeth then this procedure is conducted to regenerate the lost bone and tissue. Just like pocket depth reduction, dentist will first fold back the gum tissue and carefully removes the bacteria. A regenerative material such as a membrane, graft tissue or tissue-stimulating protein will be applied. This encourages the body to regenerate lost bone and tissue in that area. Once the regenerative material is placed, the gum tissue is secured on the tooth root. Soft Tissue Graft: There are many types of gum tissue graft produces but connective tissue graft is the most commonly used ones. While performing this procedure, a flap of skin is cut near palate and tissue from under the flap known as sub-epithelial connective tissue – the graft will be removed under flap. The flap is stitched back. While performing another type of graft known as free gingival graft, tissue is taken directly from roof of the mouth. In some cases, if enough gum tissue if available, the dentist will graft near the tooth and tissue of the palate. This is known as pedicle graft. A dentist determines which procedure suits according to the individual problem. Are There Any Supplements To Prevent Receding Gums? Of course, supplements are available to prevent receding gums. Deficiency of many vital nutrients is responsible for poor oral health and gum recession. Consult a dentist to find out whether you lack any vitamins and nutrients that can lead to gum recession. You can also ask him to prescribe them as per your needs. We have included some of the supplements which help to prevent receding gums. Calcium – It is one of the essential compounds for complete bone and dental health. Ginkgo biloba – It helps in improving blood circulation which plays an important role for healthy gums. Vitamin C – It contains anti-inflammatory properties which boost your immunity. This helps in protection you against infections. Coenzyme Q10 – This supplement helps cell renewal which helps to grow back the receded gums. Do you have any suggestions or method for receding gums? Write to us in the comments section below. We are happy to hear from you.